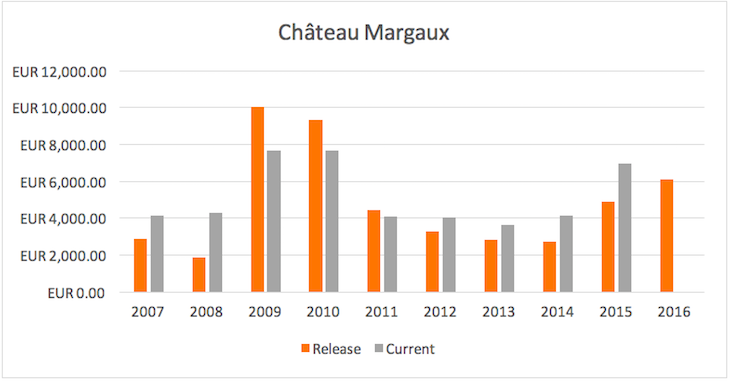 – Given the price increase of nearly 10%, it is best to wait to buy Margaux or go for the 2015 which is spectacular and less expensive. – Area under vine: 82 ha producing about 28,000 cases of red wine, with the grand vin usually accounting for less than 40% of the total depending on the vintage. Total production of the white wine (Pavillon Blanc) is less than 2,000 cases. – History: The history of the château dates back to the 12th century when it was known as “La Mothe de Margaux”. The historic owners of this estate were various noble families and by the late 18th century, the wines from the property were being mentioned in auction catalogues. The beautiful château itself was built by Marquis de la Colonilla in 1810 and from 1949 until 1977, it was in the hands of the Ginestet family, successful negociants in Bordeaux. – Current Owner: In 1977 Andre Mentzelopoulos purchased the property but he died in 1980, handing over the estate to his daughter Corinne Mentzelopoulos. The beloved director of Margaux, Paul Pontallier died in March 2016 and was succeeded by Philippe Bascaules. – Margaux is one of the few top châteaux that have not expanded its vineyard size since the 1700s. – It is the only châteaux to bear of the name of the appellation in which it resides. – Margaux’ white wine, Pavillon Blanc, is made up of 100% Sauvignon Blanc, deviating from the norm in Bordeaux of blending Sauvignon Blanc with Semillon for white wines. – Paul Pontallier who swiftly rose to managing director, joined Margaux at the young age of 27 and completed 33 vintages with Margaux before his death. He was an agricultural engineer with a doctorate in oenology and was much loved by those who worked with him and knew him. 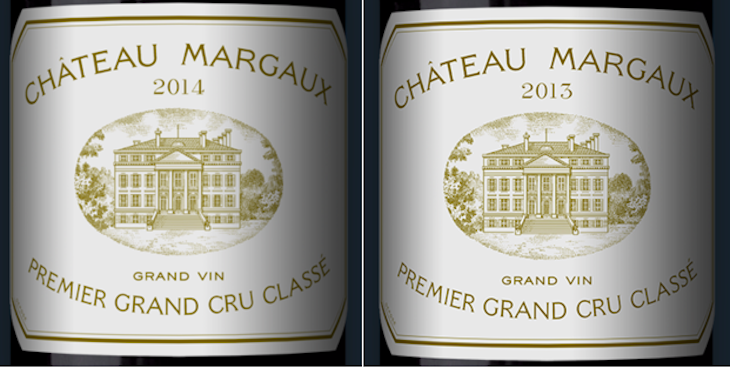 The wines of Château Margaux represent the epitome of elegance. The wines, both the reds and the white possess an ethereal lightness and the power which is present and very much in the background; on the palate this is expressed in the flavors which resonates long after the wine has left the tongue. 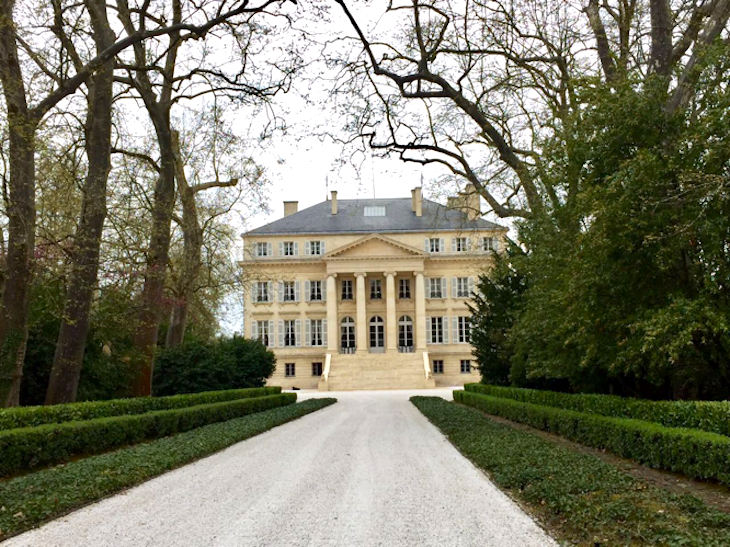 The trend since Paul Pontallier was at the helm of the château for the past 30 years has been to produce less and less Château Margaux, the grand vin, and also have a stricter selection for their second wine, Pavillon Rouge. 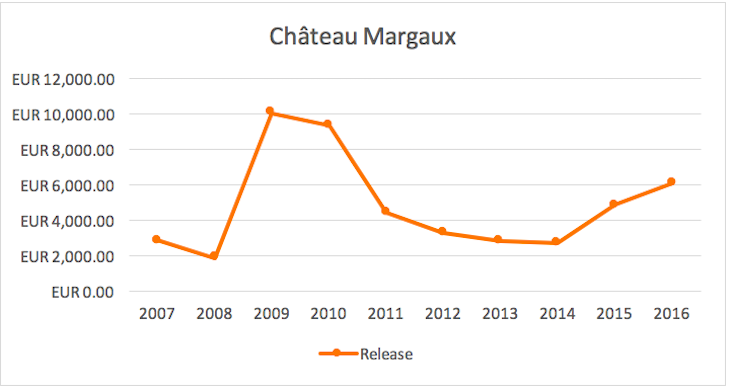 In a great year like 2009 for example, only the best 36% made it to Château Margaux and even with the remainder, only 40% made it to Pavillon Rouge. The rest of the wine was declassified. Constant modernizing and upgrading has been the theme since Mentzelopoulos purchased the property in 1977. The most recent major renovation has been their cellars and adjacent facilities, which was orchestrated by the renowned architect, Norman Foster. The original design and appearance of the château and its historical buildings have been maintained while the interior, including a new laboratory, new cooperage, tasting room and wine library was brought up to date. Château Margaux has always been one of my favorites from Bordeaux and since the mid 1990s, they have not made a disappointing wine. This is a fresh, pure, lovely Margaux with firm, velvety tannins. A gorgeous array of floral, fresh red berry flavors layered with firm, silky tannins. There is a lightness in this medium bodied Margaux with only 13% alcohol – a pure, precise, linear vintage. The wine is a blend of mostly Cabernet Sauvignon – 94% in the blend. The grand vin this year makes up only 28% of the total crop. This vintage of Margaux has an amazing perfume of violets, cassis and layers of sweet spices. A seductive, powerful, intriguiing Margaux that has both structure as well as intense power. The tannins are silky and persistent with a very long finish. A typical blend of 87% Cabernet Sauvignon in this vintage. The nose is quite closed now but the concentration is there and the palate is velvety with firm, refined tannins. Notes of dark plum, black currant and savory herbs. There is good concentration with fantastic precision. 90% Cabernet Sauvignon with only 5% Merlot and the rest Cabernet Franc and Petit Verdot. A great vintage for Margaux. This is a fresh, lively Margaux with lifted floral notes and good depth. This is the pure nose of Cabernet from Margaux’ terroir – cassis and intensely floral with violets and roses. Tannins are soft with lifted flavours that rises in the finish. A wine to lay down for at least 10 years. 94% Cabernet Sauvignon, 5% Cabernet Franc, 1% Petit Verdot and no Merlot (first time). Lovely, very typical Château Margaux nose – violets and jasmine along with blackberry, cassis and cedar. Very approachable with silky texture and good density. The perfume surfaces after about 10 minutes in the glass. This is a classic, cool vintage for Margaux with 13% alcohol and onderful freshness. The attractive, supple texture will make it approachable when young but it will age easily for a few decades. Very long finish. 87% of the blend is Cabernet Sauvignon. As expected from Margaux, the nose is gorgeous with aromas of violets, spices and blackberries. The flavours on the palate are rather dense this year (as is the Pavillon Rouge which has an enormous amount of density) and leans toward a full-bodied tannic style, which is atypical of Château Margaux. This year the grand vin had a very high density of tannins with an IPT level of 81 (most full-bodied reds are below 80). I would have appreciated slightly less extraction in both the grand vin and Pavillon Rouge. Sweet, evolved with lifted dried flowers and dried roses. Pretty nose that is expressive and fresh with a palate that is layered and still intense after nearly 50 years in bottle in its original cork. Long length. So expressive and hauntingly beautiful, it is hard to start drinking it – it is almost enough to just enjoy its beautiful aromatics. Layers of violets, dried rose petals, sweet spices and dried red currant caress the palate. The finish is long and persistent. At its optimal peak now and starting to show its bottle age. Should keep well for a few decades easily. A joy to drink now, this 1989 is at its ideal peak. A profusion of dried flowers and red fruits is followed by a silky textured palate with firm tannins and good freshness. Delicate, layered and long. A fabulous Margaux that just sang from the bottle as soon as it was opened. The floral perfume filled with rose petals, violets and dried jasmine flowers jumps out of the glass. The palate is silky and gentle with a long finsh. A beautiful Margaux at its peak. A superb vintage for Château Margaux and this bottle from its own cellar is sublime. Seamlessly woven flavors of violets, jasmine flowers and sweet cassis intertwine with silky tannins and a fine line of acidity running through it. A stunning, breathtaking wine.